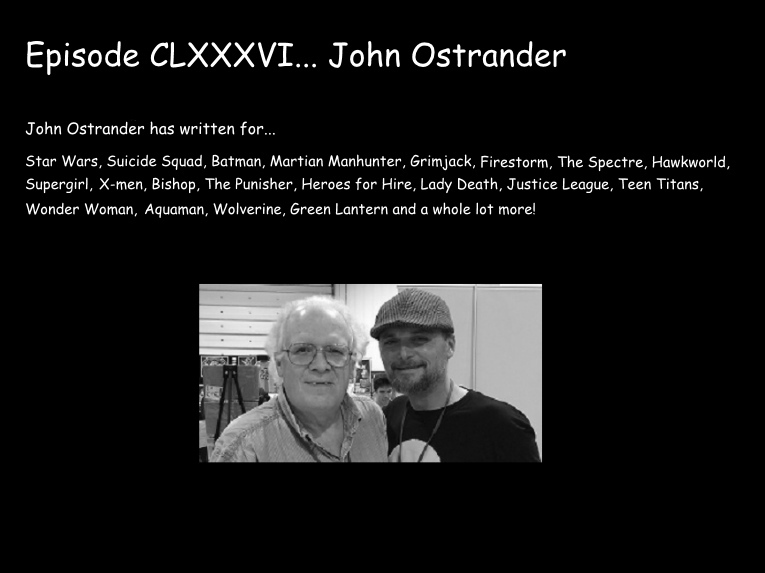 This week I had the extreme pleasure of talking with legendary writer John Ostrander. John has written for countless titles across DC, Marvel, Dark Horse and others including Batman, X-men, Martian Manhunter, The Punisher, Hawkworld and much much more. He was a major player in the Star Wars EU comics having written for Republic and Legacy as well as being the creator of the modern day version of The Suicide Squad, his own title Grimjack and the character of Oracle. We discuss his work and career in comics and have a good time geek out session over the upcoming Suicide Squad film, DC's television universe and Doctor Who.